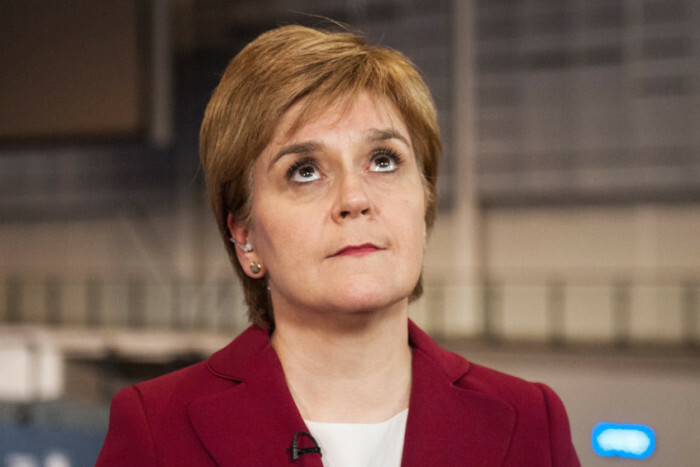 The First Minister has left the engine running on the independence bus, writes Robert Kilgour. Last week’s warning from the Fraser of Allander Institute that Scotland faces a “lost decade” of low growth and the possibility of slipping into recession this summer sends yet another signal that Scotland is trapped in a Catch-22 situation of the First Minister’s making. When she told parliament on Tuesday that a new independence referendum has been parked until after Brexit negotiations are over, business welcomed it. Yes, focus on influencing Brexit positively; yes, get the domestic policy agenda – long neglected by constitutionally fixated ministers – back on track. But set another referendum to one side. The problem is, while the independence bus is parked, the First Minister has left the engine running. And just to allay any uncertainty that she has lost faith in its raison d’être, we saw a nod and wink to the Yes movement faithful with the launch of a crowdfunding website to motivate them to push toward another ballot. This is transparently disingenuous to the swathes of voters who abandoned the SNP at the general election, who will have noticed that the party is gearing up for a new referendum. The same goes for business leaders whose patience is past breaking point with a government who won’t admit that the uncertainty caused by referendum fixation is a huge contribution to Scotland’s economic problems. As the Fraser of Allander report says, Brexit and North Sea decline aren’t the defining authors of Scotland’s woes. Declining confidence, poor investment and weak export figures are creating a cycle of weak growth that the government seems disinclined to sort out. The only apparently serious effort to do that – Andrew Wilson’s commission on growth, set up last year to come up with new economic ideas – has been quietly shelved because its wholly pro-independence remit doesn’t suit the First Minister’s short-term agenda. Here’s an idea: Mr Wilson and his colleagues must have come up with at least some decent ideas that could be implemented now. Why not dust some of them off, sense check them with a new business-led cross-party commission on economic growth and see if Scotland’s best minds can agree on ideas to turn our ailing economy around? The alternative is clear. If the First Minister can’t offer sincere assurances to business that a disruptive referendum has been put on ice for the long term, investors will continue to look elsewhere and our economy will continue to underperform. And if it continues to show itself incapable of growing the economy, how can it expect a majority to vote for independence if and when a referendum is held?